On March 8, 2011, the Oprah Winfrey Network (OWN) aired an episode of the series Our America with Lisa Ling entitled “Pray the Gay Away?” The show purported to explore the question of whether or not one can be gay and Christian at the same time, and asked whether it was possible to go from gay to straight by joining an “ex-gay” program. Instead of an honest, hard-hitting look at Exodus International, the primary proponent of ‘pray-away-the-gay’ quackery, Lisa Ling’s viewers were treated to a puff piece that cast Exodus and its president, self-styled “ex-gay” activist Alan Chambers, in a very sympathetic light. Ling allowed Chambers and others to put forth factual inaccuracies, misrepresentations of the truth, and even outright lies without once holding them accountable to the facts: so-called “ex-gay” programs do not work and harm their clients. Lisa Ling’s sins of omission were equally grievous. For example, she never mentioned Exodus’ notorious anti-gay lobbying efforts or the fact that Exodus endorses “therapy” that has been denounced by every major medical professional organization in America. Exodus embraces the use of “spiritual warfare,” also known as exorcism. In short, rather than doing her journalistic duty to uncover the facts, ask the tough questions, and sort through the spin to find the truth, Lisa Ling allowed herself to be duped by Alan Chambers. The result was a kind and gentle (but utterly fictitious) portrait of Exodus that essentially functioned as an infomercial for that organization. Here at Truth Wins Out, we know all too well the dangers posed by Exodus International and other organizations that falsely promise to ‘pray away the gay.’ These organizations are wolves in sheep’s clothing whose harmful message leaves victims with scars that last a lifetime and, all too often, drives them to attempt suicide. 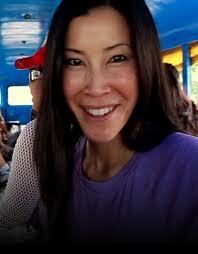 I am writing today to ask that the Oprah Winfrey Network pull the plug on Lisa Ling’s “Pray the Gay Away?” episode. On March 8, 2011, this network aired a segment of the series Our America with Lisa Ling entitled “Pray the Gay Away?” which purported to explore the question of whether it was possible to go from gay to straight by joining an “ex-gay” program. Instead of an honest, hard-hitting look at Exodus International, the primary proponent of ‘pray-away-the-gay’ quackery, Lisa Ling’s viewers were treated to a puff piece that cast Exodus and its president, self-styled “ex-gay” activist Alan Chambers, in a very sympathetic light. Ling allowed Chambers and others to put forth factual inaccuracies, misrepresentations of the truth, and even outright lies without once holding them accountable to the facts. Her sins of omission were equally grievous: for example, she never mentioned Exodus’ notorious anti-gay lobbying efforts or the fact that Exodus endorses “therapy” that has been denounced by every major medical professional organization in America. Exodus embraces the use of “spiritual warfare,” also known as exorcism. Lisa Ling’s “Pray the Gay Away?” contains gross factual inaccuracies and fails to meet the standards of journalistic inquiry and objectivity. I call on the Oprah Winfrey Network to pull the episode from its website and future reruns until these errors are corrected.